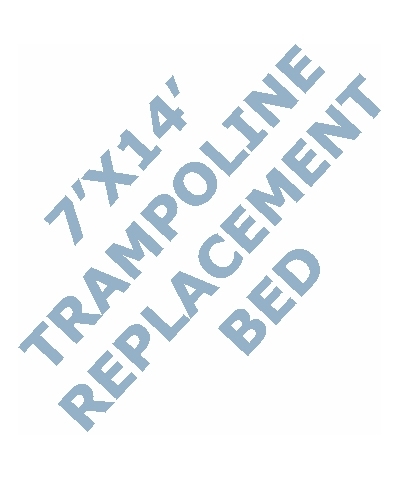 7'x14' bed with 123"x195" frame. 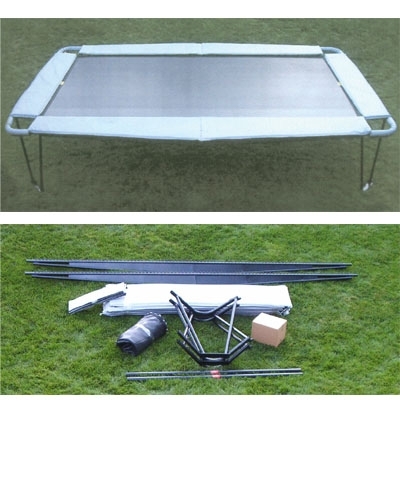 7'x14' Non Folding Rectangular Trampoline with Full Frame Pads. 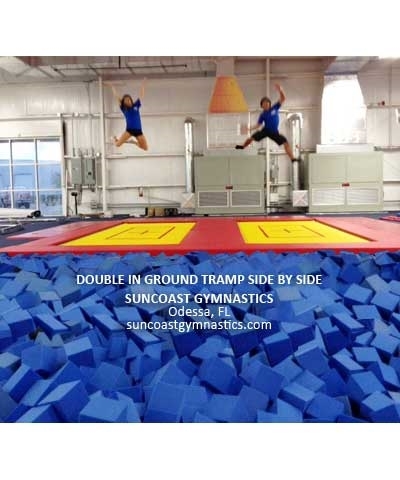 This trampoline is ideal gymnastics school training. 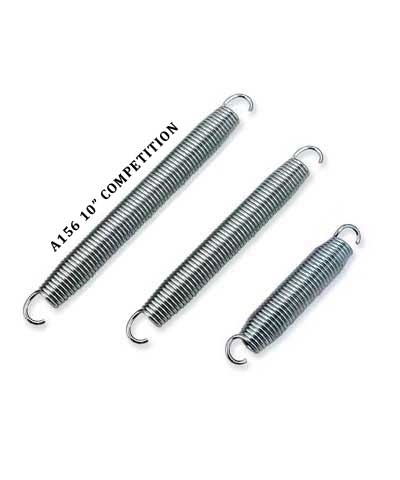 Frames are rolled steel which sleeve together for strength and stability. No tools are required. Full Frame Pads cover steel frame & springs completely.